Myofunctional therapy is a specialized treatment for children and adults that correct poor oral and facial muscle patterns. It’s similar to physical therapy that addresses tongue posture and facial muscle strength and balance. Collectively, any oral-facial muscle dysfunction are called orofacial myofunctional disorders or OMDs. It’s used for proper breathing, speaking, chewing and swallowing. Many OMDs are a result of a tongue thrust pattern where the tongue protrudes through the front teeth at rest and during swallowing and speaking. We use a team approach, collaborating with the following medical/dental professionals: ENT’s, Sleep Physicians, Pediatricians, Orthodontists, Pediatric dentists, General dentists, Speech Language Pathologists, Physical therapists, Chiropractors and Naturopaths. Sleep Apnea and Snoring: Dr Heinrich and staff believe in comprehensive treatment when treating sleep apnea with an oral appliance. Myofunctional therapy is essential for those who are diagnosed with primary snoring or sleep apnea or at risk for sleep apnea. Any chronic nasal congestion and mouth breathing can negatively affect sleep apnea and frequency of snoring. Myofunctional therapy is beneficial for decreasing the severity and risk of sleep apnea, snoring and other symptoms of sleep disordered breathing. Additionally, therapy assists in the successful treatment with CPAP and oral appliance. Therapy teaches nasal breathing, proper tongue position and it remodels the muscles of the airway and neck to decrease obstruction. Children can also suffer from sleep apnea. We assess every child for snoring and sleep apnea. This condition can be very dangerous for children to acquire. It can impact not only a child’s health and development but also their behavior and academic performance. Most of the time, enlarged tonsils and/or adenoids are closing the airway during sleep. Therefore, we work carefully with the ENT’s and pediatric sleep physicians to ensure effective treatment. Myofunctional therapy is utilized before and after treatment with the guidance of a specialist. Oral Breathing Habits: Nasal breathing is the preferred method of breathing. Mouth breathing has many adverse oral and health consequences in children and adults. Most importantly, it can negatively impact the cranio-facial growth of children. We attend to any possible nasal obstruction, teach proper breathing and swallowing techniques, tongue position and correct muscle imbalances. 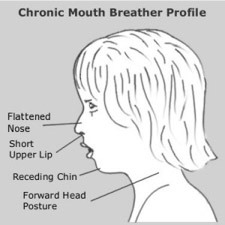 Side effects of mouth breathing include: low oxygen concentration, gingivitis and dental decay, stomach upset, TMJ/TMD, crowding of teeth, poor sleep, enlarged tonsils/increased congestion, and can attribute to poor posture and childhood facial development. Orthodontics: Improper oral muscle tone or strength and poor tongue position can be a challenge for orthodontists to correctly align the teeth. A tongue thrust is where the tongue relaxes on the front teeth and comes forward during speech and swallowing. This can cause teeth crowding, too many spaces, occlusion issues and effect long term stability of the dentition. 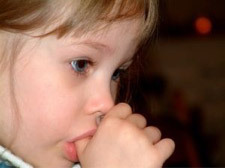 Tongue thrusting and mouth breathing may be caused by such things as: thumb or finger sucking, tongue ties, nasal obstruction or muscle habits not outgrown in early childhood. Without treatment, tongue thrusts can influence improper facial and dental growth, orthodontic stability and cause lifelong health problems. Thumb and Finger Sucking: Thumb and finger (and pacifier) sucking is normal and comforting for many infants and small children. Most kids will stop on their own between 2-4 years old. The longer the habit continues, the harder it is to break. If not treated, development of a tongue thrust and a reverse swallow pattern occurs and oral muscle function may be impacted. Prolonged oral habits also impact the shape of the mouth and the way the teeth come together (dental occlusion) permanently. Orthodontics may not be successful or treatment may take longer to correct the bite, therefore early intervention is critical. Myofunctional therapy is hugely successful with positive reinforcement techniques. Our office is one of the only dental practices in Spokane that has a comprehensive oral habit cessation program. We make it fun and children gain a sense of accomplishment. Speech Issues: Many children with Myofunctional disorders, such as a tongue thrust or tongue tie have speech issues. While we do not offer speech therapy services, however, it is important to foster proper muscle function and balance in order for speech to be successful. Temporal Mandibular Joint Disorder (TMDs): TMD may be aggravated from incorrect oral posture, dysfunctional swallowing and breathing patterns. This causes stress on the joint and surrounding muscles. Patients treated with a sleep appliance for sleep apnea may also have an increased risk for facial pain. We will assess poor habits and correct oral position, posture and breathing that maintain the TMJ in its natural position, thus aiding in muscle relaxation and decrease head and neck tension. When to begin therapy? Early intervention is the key to addressing any Orofacial Myofunctional Disorder (OMD). At this time, we have the advantage of influencing and guiding proper growth and development of the face and teeth position as well as avoiding negative life-long health issues. Around 4 years old, we can address any damaging oral habits (such as thumb sucking), breathing and snoring issues. We work alongside of orthodontists to help align the teeth during or before treatment and prevent post-orthodontic crowding. Many speech pathologists work with Myofunctional therapists to develop muscle function prior to speech therapy for better results. Therapy is very beneficial for adults too! Therapy optimizes breathing, is a co-treatment of sleep apnea, snoring, orthodontics and helps alleviate TMJ pain. What are the exercises like? The exercises are individualized. Treatment time depends on severity of the case and commitment and participation of the patient. Exercises build on each other as we address fundamentals first and work on strength, tonicity and establish muscle memory. How is the service billed? Consults are free! After the consult, if therapy is recommended we will assess your medical benefits and establish unique treatment plan just for your needs. Call Spokane Myofunctional Therapy at 509 467-1117 for a free consultation or ask your pediatric dentist or orthodontist if you feel that you or your child may have an Orofacial Myofunctional Disorder. Tamara Anderson graduated from the Eastern Washington Dental Hygiene School in 2003 where she obtained a Bachelor of Science in Dental Hygiene. 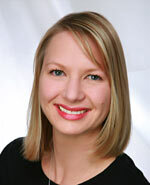 She has enjoyed practicing dental hygiene for over 12 years in the Seattle area and Spokane, Washington. Her commitment and dedication to dentistry and sleep dentistry has grown into a passion for myofunctional therapy. Her background and knowledge of dentistry has put her in the forefront as a myofunctional therapist. Tamara is married to her husband, Jeff and has two grade school children, Garrett and Emily. Tamara is a member of the AAMS (Academy of Applied Myofunctional Sciences) and active in the Spokane Dental Hygiene Study Club. She is a mentor for at-risk women and children through the CAPA program with Catholic Charities. She enjoys fund raising and volunteering at her children's school, gardening, skiing, outdoors, traveling and spending time with friends and family. Copyright © 2004-2016 Robb Heinrich DDS, PLLC. All Rights Reserved.